Is the Cecil Hotel truly haunted? 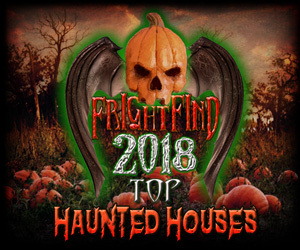 The true horror stories that surround this 1924 building weave a dark and uncomfortable tale rife with unexplained deaths, serial killers, and horrors that are usually only told in the movies. It’s important to note that it was reported that Elisa’s body had no evidence of drugs or alcohol in her system at all. She may have suffered from mental anxiety. Her demise has many factors that paint an ominous picture. 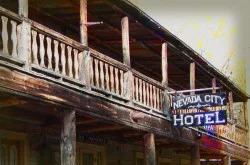 Over the years, the Cecil has been home to 2 infamous serial killers, Richard Ramirez (the Night Stalker) and journalist Jack Unterweger. Richard “The Night Stalker” Ramirez murdered at least 13 people during the 80s while staying at the Cecil Hotel. He even disposed of his bloody clothes in the hotel dumpster. Coincidentally, The Night Stalker’s character appears in the American Horror Story: Hotel as a welcomed guest of James Patrick Marsh. Jack Unterweger was another serial killer that called the Cecil home. Unterweger was actually a police ride-along journalist during the day. At night, Unterweger brutally murdered prostitutes by hanging them from their undergarments. Another strange circumstance of this story is that Unterweger actually was a key journalist on his own murders at one point during the investigation. 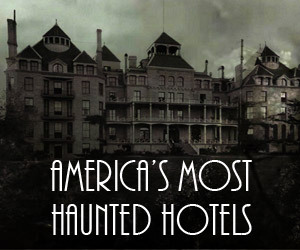 These 2 horrifying accounts of serial killers staying at this hotel are only the beginning of a history of bloodshed. 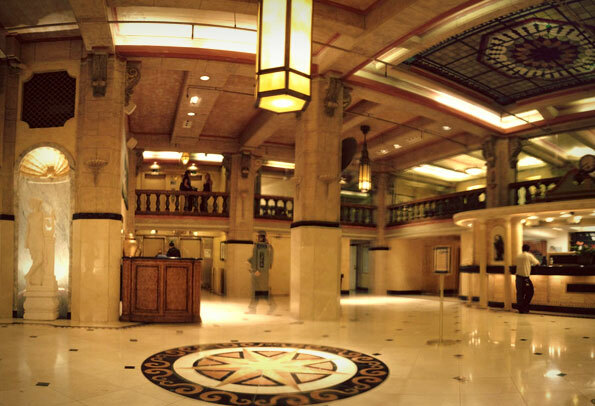 In 1947, Elizabeth Short was last seen alive at the Biltmore Hotel in Los Angeles. 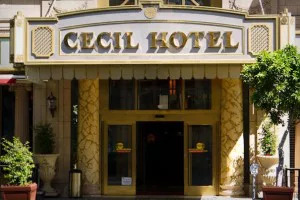 Short is also reported to have visited the Cecil Hotel in the days leading up to her murder. Her gruesome murder dubbed her “The Black Dahlia” and remains unsolved to this day. The Black Dahlia went missing on January 9th and her body was found severed in half at a vacant lot the 15th of January, 1947. 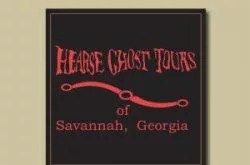 The hotel looms under a dark shadow that spans decades of horror, death, mystery, and downright scary stuff. There have been reports of strange dark images in the shadows, spooky noises, and items moving in the night. 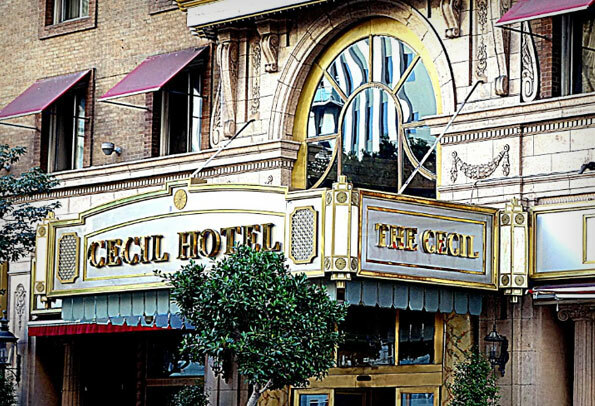 Is the Cecil Hotel haunted? The facts add up to a considerable history of bad stuff taking place here. If there are any hotels worthy of the glamour of AHS, this is one of them. 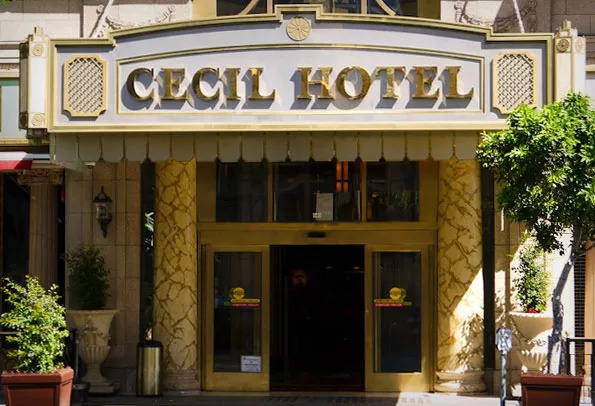 The Cecil Hotel’s haunted history appears to have lent a lot of it’s history to the famed American Horror Story: Hotel, which has borrowed the stories of Elisa Lam in the form of “Kara” as well as its serial killer Richard Ramirez. An interesting note about Unterweger, is that he was at one point, a key journalist covering his own murders, somewhat similar to John Lowe who is investigating his own murder cases. Spot the similarities by reviewing the TV version of the Cecil if you dare. Trying to hide from its inglorious past the Hotel Cecil has been rebranded as The Stay On Main. The current ownership regime is very tight lipped and appears to be trying to hide from the past. Employee responses and unwillingness to answer questions forthright can be expected from a business that is trying to maintain a respectable image in a competitive market such as Los Angeles. 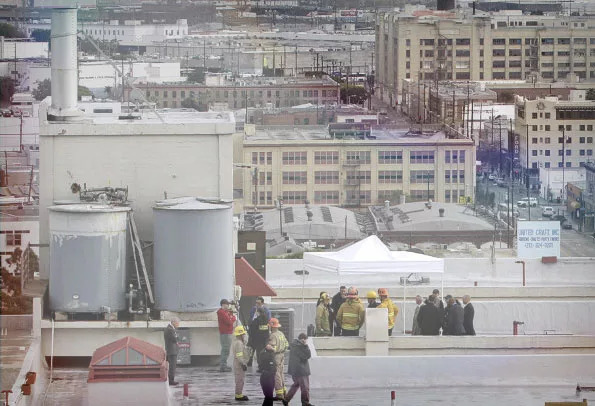 The hotel employees would not speak of Elisa Lam, but did elude to the history of the health hazards of the roof’s water tank. They also disclosed that security upgrades have been made and that there have been efforts to improve the hotel’s clientele. 14th Floor – The last known place Elisa Lam was seen alive. Do you dare to ride the elevator? The same floor that Richard Ramirez stayed. 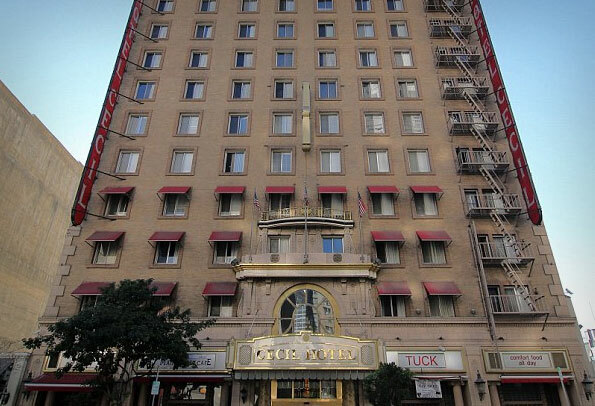 14th Floor – Where Richard Ramirez stayed in the Cecil Hotel. 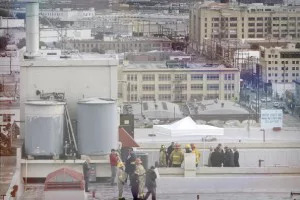 9th Floor – Is where Pauline Otto jumped from her hotel room window. She landed on George Gianinni and both died from the impact. 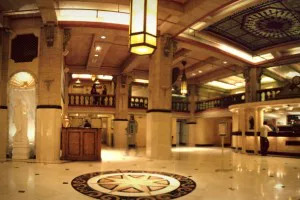 7th Floor – is where Goldie Osgood’s unsolved murder took place before Richard Ramirez’s stay. 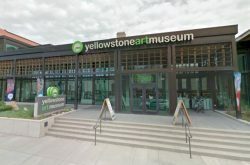 “The Cecil will reveal to you whatever it is you’re a fugitive from,” said novelist Steve Erickson after his stay in June of 2013.